WESTLIFE'S Nicky Byrne will present the annual Cheerios Childline Concert for the second year in a row. Nicky's return to the concert as presenter is expected to generate further interest as tickets for the concert go on sale on Friday. This year's concert will see JLS, The Wanted and Jedward on stage at the O2. 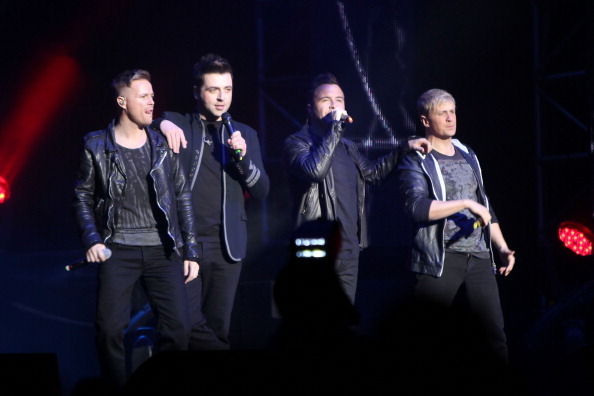 And Nicky will return to his singing duties as Westlife are also tipped to perform. The November concert is aiming to raise €400,000. "We are delighted to be once again sponsoring the Cheerios Childline Concert which has over the past fourteen years become a firm favourite with concert goers of all ages," said Alison Healy from Cheerios. "We look forward to another great night at The O2 on November 12." Thanks to the exciting line-up, tickets are expected to be snapped up quickly by thousands of fans. To date, Childline has raised a massive €3.8m since its first concert in 1997. Acts including Boyzone, The Script, Robbie Williams, Alexandra Burke, Girls Aloud and Ronan Keating have taken to the stage over the years. Childline says it is currently experiencing record levels of demand. More than 800,000 calls are expected to be received in 2011 and almost half of those calls will go unanswered due to lack of resources.